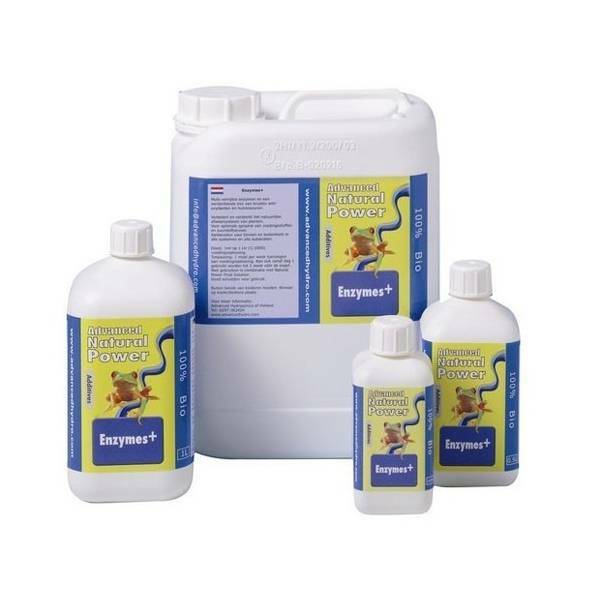 Natural Power Enzymes+ by Advanced Hydroponics is a natural "Enzymes" component of the Natural Power line. This excellent product activates beneficiary micro organisms in the growing media, this helping to remove sedentary salts and to decompose dead roots. While cleaning the roots from non-essential material, it improves the plants ability to breath and to absorb the nutrients, allowing an healty growth and development. The "Enzymes" are to be added to the watering during most of the growing time and are used by the majority of successful growers. Advanced NATURAL POWER, your Building Block to Success!!!! Advanced NATURAL POWER is developed to reinforce and support the natural environment of your plants throughout their entire life cycle. After extensive research and a long testing period by experts and growers with different growing systems and on various substrates, this line of products has already proven its value in Holland. 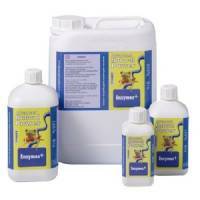 Once again, Advanced Hydroponics provides you with a high quality line, no less than only the best !! !